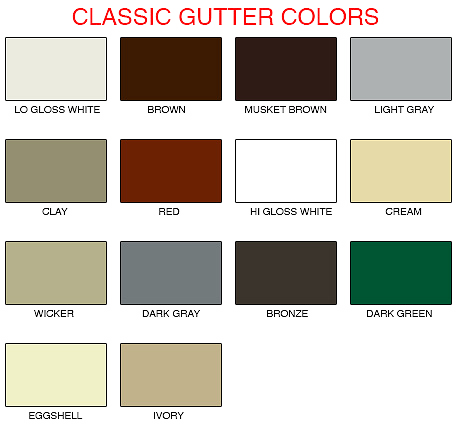 Gutter Colors — Gutters and Garage Doors Inc.
We install both K style and half round quality aluminum seamless gutters and have a range of colors to match your exterior. We also install box type gutters for commercial buildings. Choose your style, size, and color. Feel free to give us a call to help chose the best style and size gutter for your roof.